EKS Audi Sport’s Mattias Ekstrom set the quickest time in Q3 at the World RX of Germany, round 11 of the FIA World Rallycross Championship. Sweden’s Ekstrom won Q3 race three in front of GRX Taneco’s Niclas Gronholm and set the quickest time. His team mate Andreas Bakkerud later took the lead of Q3 race four at turn one and was second quickest to make it an EKS Audi one-two. Team Peugeot Total’s Timmy Hansen and Kevin Hansen made the best starts in the race four but were forced wide at turn one. 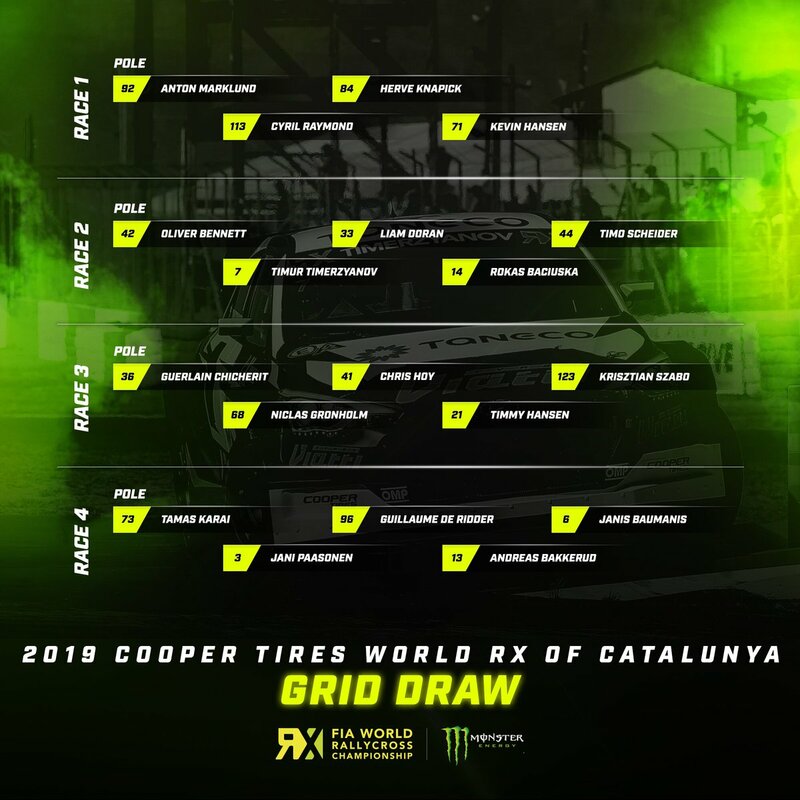 Timmy Hansen was third quickest and Kevin Hansen was eighth. Gronholm chased Ekstrom through race three and was fourth quickest, as overnight TQ (top qualifier), PSRX Volkswagen Sweden’s Johan Kristoffersson dropped to fourth at turn one of race four and followed his team mate Petter Solberg through the race. The Volkswagen Polo R pair were fifth and sixth, and race two winner Kevin Eriksson was seventh. GC Kompetition’s Anton Marklund, Peugeot’s Sebastien Loeb, GCK’s Liam Doran and GRX’s Timur Timerzyanov completed the top 12. In the Intermediate Classification, it remains a PSRX one-two, but Ekstrom and Bakkerud and now third and fourth.